Our next drawing for beer will be on June 21, 2019 – the first day of summer! Up for grabs will be a Mexican Lager and a Blonde Ale. 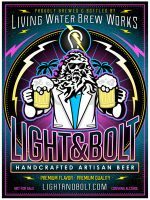 Use the form below to enter for your chance to win a 4-pack of our Summer 2019 edition of Light & Bolt Beer! By checking this box I affirm that I am 21 years of age or older. Light and Bolt Mexican Lager is a moderate-strength amber lager with a soft, smooth maltiness and moderate bitterness, yet finishing relatively dry. The malt flavor is clean, bready-rich, grainy-sweet, and somewhat toasty with an elegant impression derived from quality base malts and process – not specialty malts and adjuncts. 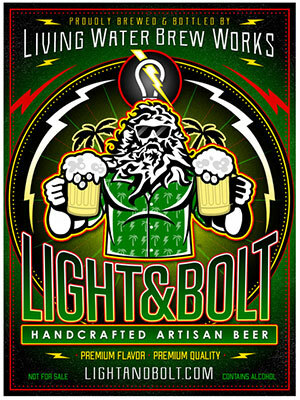 Light and Bolt American Blonde is a tropical take on the “Classic American Blonde” with the use of Denali hops giving it the impression of pineapple flavor. It’s an easy-drinking, approachable, malt-oriented American craft beer with interesting fruit hops or malt notes. Well-balanced and clean…it’s a refreshing pint without aggressive flavors.